Demerit points are assessed to drivers when convicted of a moving violation, beginning on the date of the violation. The courts send the Wisconsin Department of Transportation (WisDOT) Division of Motor Vehicles records of all convictions for moving traffic violations. Persons who hold a probationary license are assessed double points for the second and all subsequent points. When 12 or more demerit points are accumulated in one year, a suspension of the driver privilege is required, for a minimum of two months. 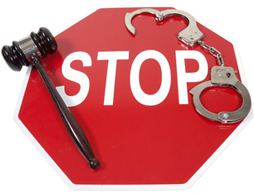 The Schenk Law Firm can assist you in proving your innocence with our experience in Traffic Law. When 12 or more demerit points build up in one year, your driverâ€™s license will be suspended for a minimum of two months. If your driverâ€™s license is suspended, it will be on your record for five years from the date of suspension, except in the circumstances for serious offenses or alcohol-related convictions, which remain on your driving record for 55 years.